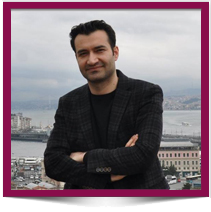 Dr. Ece is an assistant professor of Pharmaceutical Chemistry at Biruni University. He received a B.Sc. in chemistry at Hacettepe University, Ankara. He completed his master degree in organic chemistry and obtained his Ph.D. in the field of organic, computational medicinal and pharmaceutical chemistry in the same institution. He worked as Research Assistant between the dates 2002-2011 at Hacettepe University. Dr. Ece gave several talks as invited speaker in international/national scientific organizations including NATO-ASI Summer School, Training Courses etc. He organizes Hands-On Training Courses on Computer Aided Drug Design. His research group (ECE Research) is mainly focused on the computer aided drug design & discovery. In that aspect, he uses both quantum chemical and molecular mechanics calculations. Supported by the leading software companies in the field, Ece Research uses effective and specialized computational tools to address a particular problem or to enlight an experimental finding in medicinal, organic or pharmaceutical chemistry. He believes that there is no boundaries in different fields of sciences. Scientists should set aside the differences and collaborate with each other. It is the reason that the motto of ECE Research is "Combining Multidisciplinary Research". Dr Darren Fayne holds a PhD from Dublin City University in computational and organic chemistry. He worked for two years at Solvay Pharmaceuticals in Hannover, Germany as a molecular designer from March 2003. While with the Computer-Aided Drug Design Group he focused on two main therapeutic areas of research: Cardiovascular disease and Gastroenterology (IBS/IBD). In July 2005 Dr Fayne joined the Molecular Design Group in Trinity College Dublin as a Senior Research Fellow. His research focus is the rational computational design of novel small molecular modulators of key disease related proteins. In the late 2000’s, he co-founded and served as a director of a rational drug design campus spin-out company to commercialise intellectual property and develop compounds for the treatment of an orphan cancer – malignant pleural mesothelioma. Nuclear receptors are a major research interest of his, as is the development of computational tools to assist the drug discovery process. A key aspect of his work forming a bridge between chemistry & biology and utilising computational design methodologies to collaboratively discovery novel small molecules with the potential to treat human disease. More recently he has collaborated with colleagues to identify novel small molecule inhibitors of IL-17A (inflammation/autoimmune), LspA (Anti-bacterial) and Vif (Anti-viral). To date he has successfully filed two patents, published 33 articles in peer-reviewed journals and one book chapter. Oliviero Gobbo was awarded his PhD in Neuroscience at Trinity College Dublin. He is trained in pre-clinical research and Magnetic Resonance Imaging, and has worked in private industry and academia for over 20 years. Oliviero Gobbo’s current research interests lie in the fields of cancer and neuroscience, particularly in improving therapeutic delivery. He has a specific interest in the emerging area of Theranostics using nanoparticles. The employment of such theranostic nanoparticles, which combine both therapeutic and diagnostic capabilities in a single agent, promises to propel biomedical research towards personalized medicine. Dr. Gobbo’s research aims to develop new technologies to address unmet clinical needs for fighting tumours that currently have limited therapeutic options, such as brain or lung cancers. He has developed a new MRI diagnostic tool for lung cancer and is currently working on new approaches to carry drugs through the blood-brain barrier (BBB). He also has an interest in novel treatment strategies for tumours, such as immunotherapies or cannabidiol-based treatments, as well as magnetic hyperthermia field which uses superparamagnetic iron oxide nanoparticles as heating mediators to destroy cancerous tumour cells. Oliviero Gobbo’s research has been widely published, and he has had a number of publications in international leading journals, most notably Science and Nature Communications. Director of Research and Associate Professor in the School of Pharmacy and Pharmaceutical Sciences (SoPPS) TCD. Research interests lie in the broad area of Natural Product Chemistry: finding new therapies for diseases with unmet clinical need. During my career I have successfully identified a lead molecule from nature which I have translated through a medicinal chemistry programme, to a novel therapeutic chemical scaffold which progressed through preclinical stages of development through to Phase 1 Clinical trials. During this period I co-founded a TCD Campus company Trino Therapeutics Ltd and was co-PI on funding of approximately €14 million including from Venture Capital (€9 million) and the Wellcome Trust (€4.5 million) with €3.5 million as co-PI coming from a Wellcome Strategic Translation Award I am co-applicant on six published patents in the US, EU and Asia. I have learned a lot about the journey from discovery to humans and the challenges and obstacles that line the road. Experience led decision making about research is invaluable and through this lens of experience, the molecules my group is working on have real therapeutic potential and have been designed to eliminate some of the insurmountable obstacles to drug development. Maria is a Spanish medical doctor Specialist in Respiratory Medicine from the Universidad Autónoma de Barcelona Spain). She started her training as basic researcher in 2004, at The Brown Foundation Institute of Molecular Medicine for the Prevention of Human Diseases (University of Texas Health Science-Houston-USA). At this stage of her life, her passion for research motivated her to move to Ireland in 2006 where, under the supervision of Professor MW Radomski, she defended her PhD in 2009 (Trinity College Dublin). From 2010 she holds a position as Assistant Professor in Nano pharmaceutical Drug Discovery (School of Pharmacy and Pharmaceutical Sciences & School of Medicine) in Trinity College Dublin. Her research interests are focused on platelet biology, cancer and Nanotoxicology (particularly on nanoparticle-cell and nanoparticle-platelet interactions). She investigates the effect of nanomaterials and novel formulations on platelet function and tumour cells and applies nanotechnology for unravelling the potential interactions between drugs and nanoparticles developed for drug delivery with their targets and the biological barriers that they have to overcome to exert their action. Stefano Focaroli is a Postdoctoral Research fellow in Trinity College of Dublin at school of Pharmacy and Pharmaceutical sciences since January 2017. Stefano completed his Ph.D in Pharmacology and Toxicology, Human Development and Movement Sciences (experimental Thesis: “Functional scaffold for chondrogenic differentiation of human mesenchymal stem cells”) at University of Bologna and his undergraduate studies in Pharmaceutical Chemistry and Technology (experimental thesis: “Low cost microfluidic chips: from design to validation”) at Perugia University. His research interests lie in the area of concerning microfluidic chip production, drug delivery systems production, cell encapsulation, biomaterial development and mesenchymal stem cell differentiation. - Tissue engineering and stem cells: developing of biomaterials for mesenchymal stem cell differentiation into chondrogenic lineage. Dr. Ellie Rad is a postdoctoral Fellow at the school of Biochemistry and Immunology, at Trinity College. Ellie completed her undergraduate degree in Molecular Biology at Tehran University (2004-2008), Following her studies at Tehran University and with the awareness of how important bioinformatics has become in the field of life sciences, she then studied for a MSc degree in Genetic Epidemiology and Bioinformatics at Cardiff University/School of Medicine. With the interest in cancer research she then entered a 3 year PhD programme Identifying biomarkers for development of NF1-associated Malignant Peripheral Nerve Sheath Tumours (MPNSTs). She then took up a position as project manager, working for GW Pharmaceuticals Ltd. In 2017 She was awarded an Irish Research Council Marie Sklodowska-Curie Action (MSCA) COFUND Postdoctoral Fellowship at Trinity University, and is currently working on Non-Small Cell Lung Cancer with the aim to improve the outcomes for lung cancer patients through better understanding of the disease mechanisms. 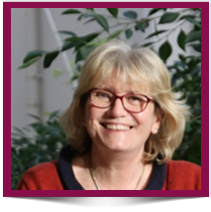 Her research interests are focussed on cancer biology, specifically the mTORC1 signalling cascade and involvement in cancer progression and the angiogenic signalling pathway in cancer. Aoife Kearney is a PhD researcher studying structural biochemistry and biophysics with the x-ray crystallography group led by Dr Amir Khan. During her undergraduate studies at Trinity College Dublin, Aoife came to specialise in Biochemistry. Aoife spent time as an undergraduate intern at Novartis Diagnostics and Vaccines, Cambridge, Boston, where she fell in love with research and with structural biochemistry. After receiving a BA in natural sciences, Aoife continued her studies to postgraduate level. She received a Postgraduate Research Studentships from Trinity College and is currently working towards her doctoral degree. Her research interests centre on the study of vesicle trafficking. The majority of her work examines the interactions between Rab proteins, vital components of the vesicle trafficking network, and their specific effectors. Rab proteins are small GTPases and members of the Ras superfamily, they exist across eukaryotes. There are over 70 Rab proteins in humans, each Rab may interact specifically with many protein partners. However, the nature of these interactions and how they regulate traffic around the cell are not well understood. Through application of biophysical techniques her work aims to delineate the molecular basis for the biological process of trafficking. Aoife is passionate about science communication and has previously acted as committee member in the Trinity Biochemical Society as well as mentoring many students from secondary school to undergraduate level. Through her role as committee member for the CADD symposium and workshop, Aoife hopes to help students and academics understand the important impact that computer aided drug design can have across many fields of research. Emma McGrath is a third year PhD candidate in Biochemistry studying protein structure by X-ray crystallography, and protein-protein interactions using biophysical techniques. Emma received a B.A in Natural Sciences specialising in Biochemistry from Trinity College Dublin in 2015 and during her undergraduate studies was awarded a Naughton summer studentship to first class honours STEM students to further their research abilities. She was subsequently awarded a Naughton postgraduate fellowship in 2016 for students who display strong leadership potential and exceptional abilities within their field of study. With this fellowship she will travel to the University of Notre Dame, Indiana from September 2018 to complete her doctoral degree. Her work focuses on the structural aspects of the regulation of Parkinson’s disease-related LRRK2 kinase by Rab GTPases. Emma sat on the committee of the TCD Biochemical Society committee as an ordinary member in 2016/17 and is the Public Relations Officer for the society during the 2017/18 academic year. She has a keen interest in science communication and is passionate about the advancement of women in STEM fields. She maintains membership of the The Biochemical Society and the Women in Technology and Science (WITS) organisation. James Mc Keown is a qualified pharmacist and a third year PhD student in Pharmaceutical Chemistry under the supervision of Prof. Mary Meegan and Dr. Niamh O’ Boyle. James completed his undergraduate degree in Pharmacy at Trinity College Dublin (2010-2014) and subsequently received his Master of Pharmacy from the Royal College of Surgeons Dublin (2015). He was awarded a Trinity College Postgraduate Scholarship to undertake the project titled “Discovery of therapies for lymphomas and leukaemia: Synthesis and antiproliferative action of novel ethanoanthracenes”, which involves exploring novel antidepressant related structures for the treatment of Chronic Lymphocytic Leukaemia (CLL) and the determination of how they exert their observed activities. James also works part-time as a community pharmacist, with a special interest in mental health.